Welcome to the Civil Air Patrol family! THANK YOU for supporting your son’s or daughter's membership in the Civil Air Patrol's Cadet Program. Through their experiences as CAP cadets, young people develop into responsible citizens and become tomorrow's aerospace leaders. CAP is the volunteer, nonprofit auxiliary of the U.S. Air Force. Its three missions are to develop its cadets, educate Americans on the importance of aviation and space, and perform life-saving, humanitarian missions. Below are a couple of links that provide overview of the Cadet Program and invaluable information you and your cadet will want to review. 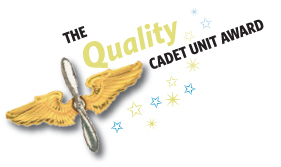 Please don't hesitate to contact the Squadron Commander or Deputy Commander of Cadets if you have any questions.